Slicers are a user friendly way to manipulate pivot tables. As shown below, you can easily click on the large buttons to choose an item instead of going into the pivot table drop down list. 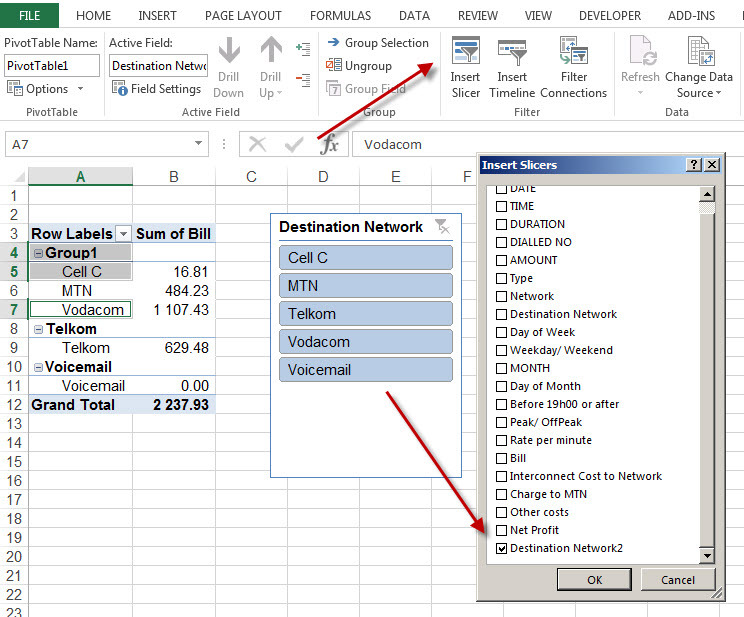 It is also useful to understand how you can go about grouping items in pivot table slicers. 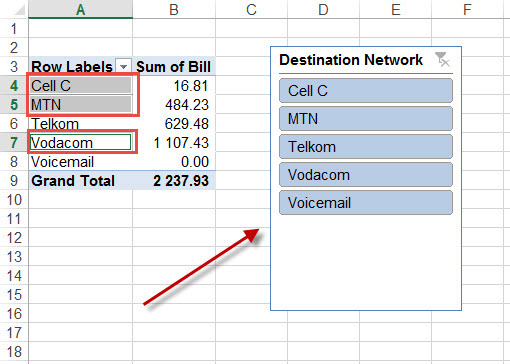 In the case below perhaps we want to group the 3 highlighted items as a single group called Cell Operators. The first step would be to create a grouping by highlighting the 3 cells within the pivot table, right clicking and clicking on GROUP. Once you have done this, you can go back into the Insert Slicer option as shown below and you will notice that there is a new slicer option for the grouped field. When you click OK you will see that the new slicer appears with your grouping. If you want to change the name of the new grouping you can simply click on the name in the pivot table (cell A4), type the new name and it will appear in the slicer as well. 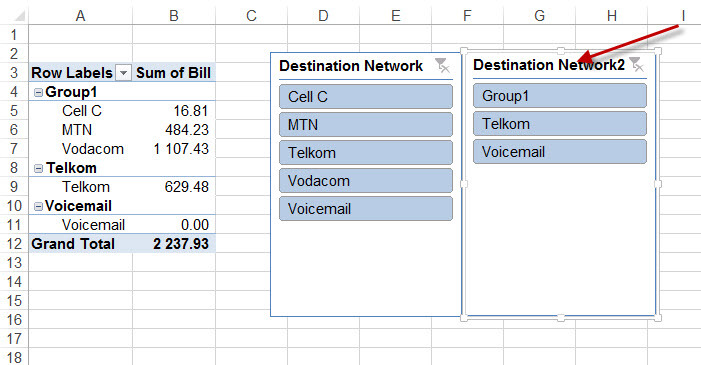 This way you can interrogate your data either via the detailed destination network or on the grouped information.